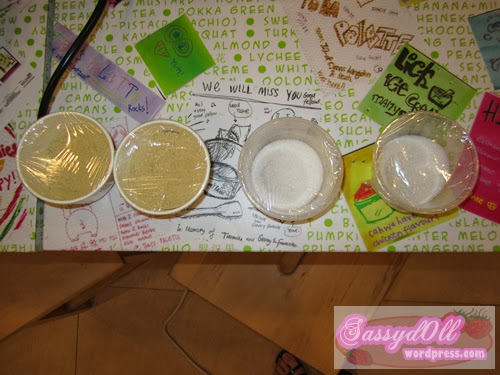 Here’s a blog post on two food tasting sessions which I had with the bloggers invited by The Sample Store! 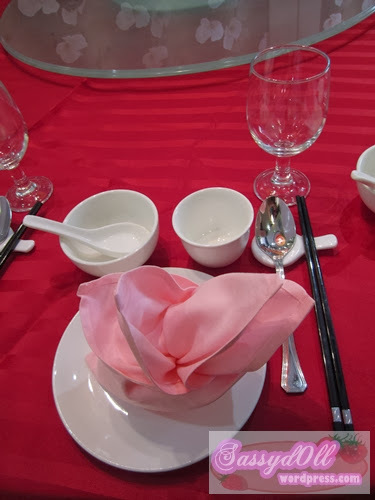 The two food tasting sessions included trying out the homemade ice cream from Tom’s Palette and a Chinese cuisine at Oversea Restaurant! 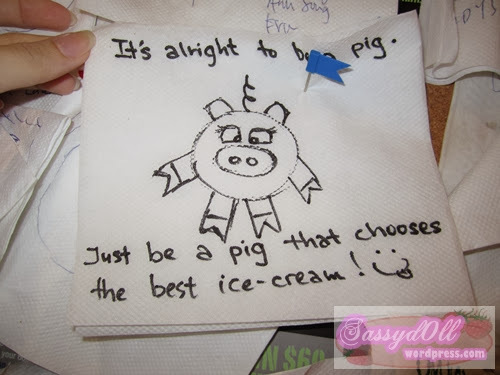 Yep, DIY to create my own homemade ice cream! 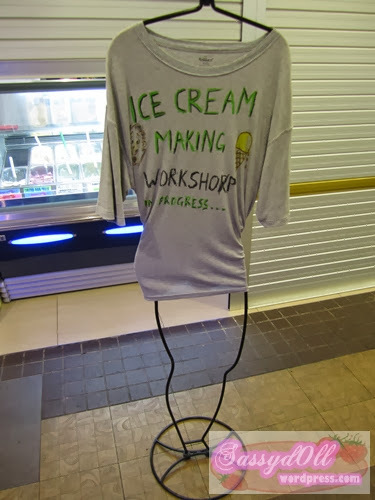 Ice Cream DIY was nothing new to me, I already knew it can be done at home. 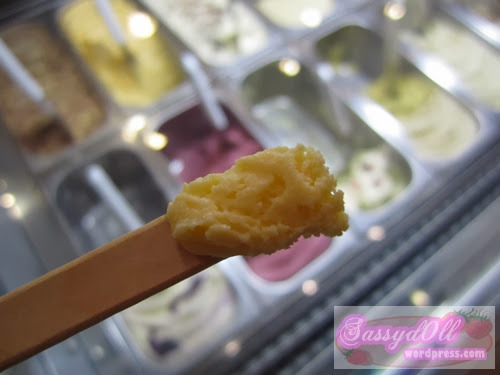 Someone had actually DIY ice cream for me before and it tasted really as good as the ice cream bought from stores… which was why I was very excited when I was invited to this Bloggers Ice Cream Making Workshop to try it myself. 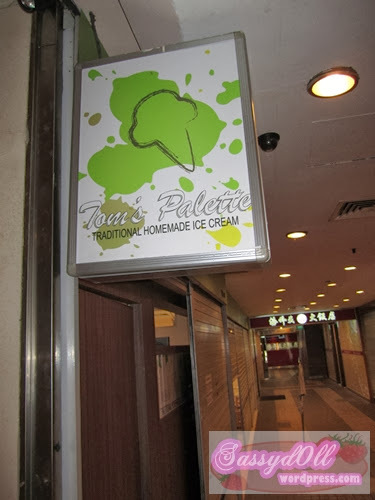 This Bloggers Ice Cream Making Workshop was held at Tom’s Palette at Shaw Leisure Gallery. Tom Palette has been interviewed and recommended in quite abit of press media! WOW! The clean and spacious space made me felt so comfy during the workshop! 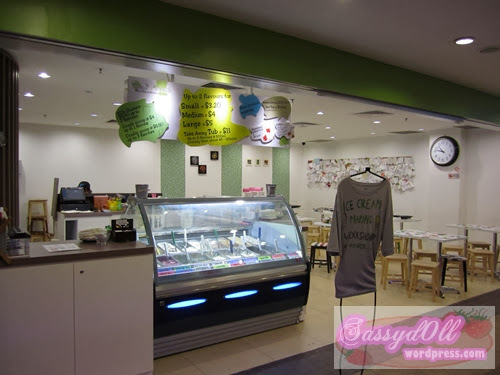 The cute cartoons and photos really caught my attention, they totally liven up the fun ambiance during ice cream making! 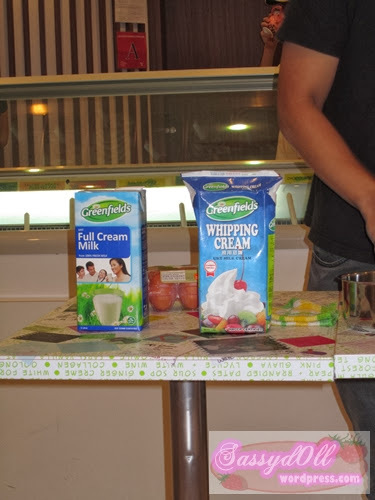 Full cream milk and whipping cream! 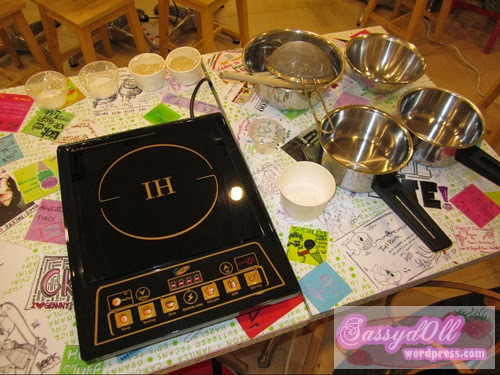 A live demo by the “chef” ( ah! I have forgotten his name! =/ ) before the hands on started! Crack open an egg. 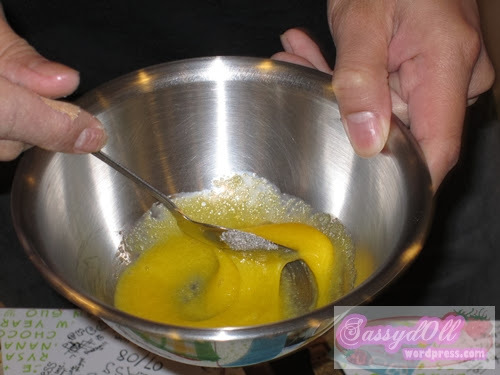 Use only the yolk and add sugar to it. Mix well! 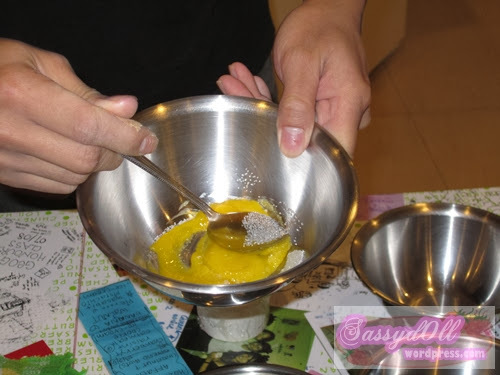 Separate the egg yoke from the egg white. 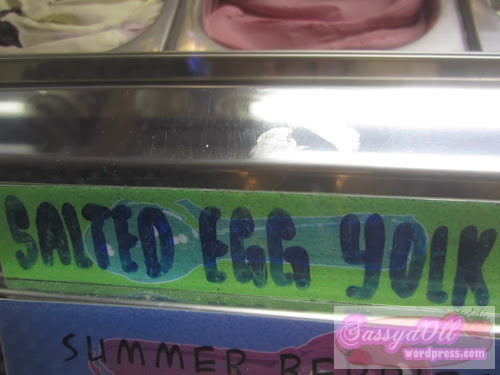 Egg yoke is what we need. 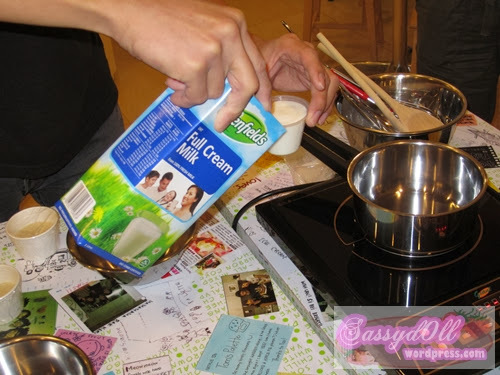 Add half a cup of milk into pot. It’s alright to lower the temperature during stirring. Add 3 to 4 generous tablespoons of Horlicks into milk. 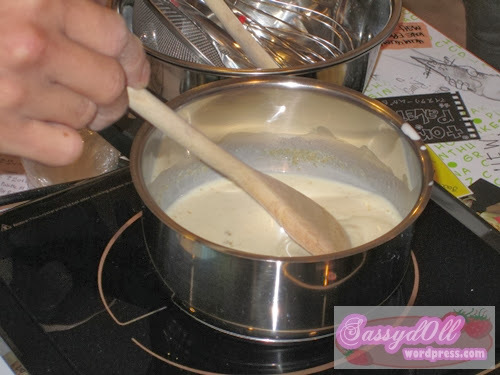 Continue stirring, ensure the milk doesn’t get burnt! 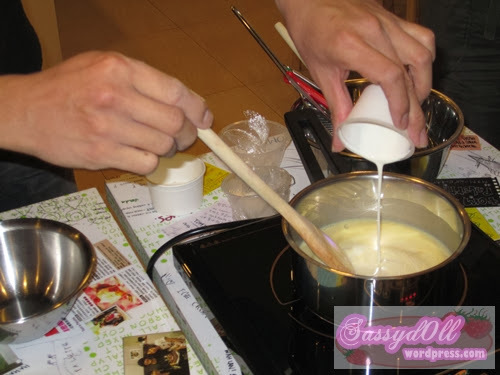 Uneven and long stirring will turn your milk into scrambled egg! 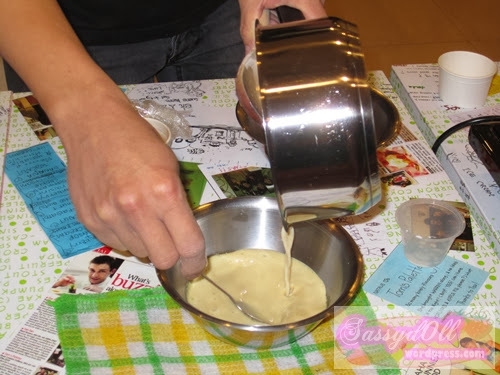 Combine Horlicks, milk, egg yolk and sugar. 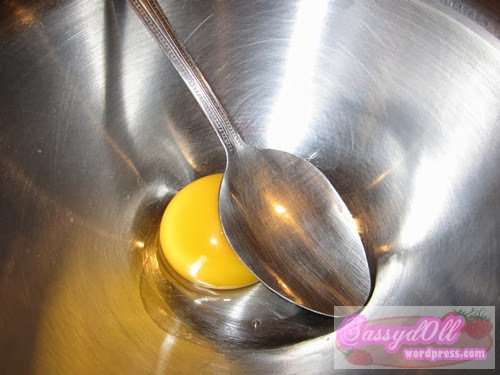 (Pour everything from the pot to the bowl of egg yoke (with sugar mixed). After mixing and stirring, pour the mix back to the pot. 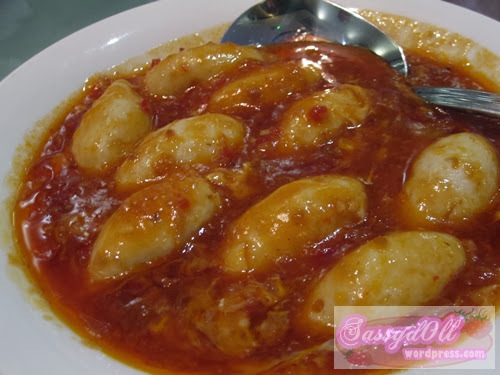 Cook all these ingredients (mixture) until it becomes a thick and rich sauce. 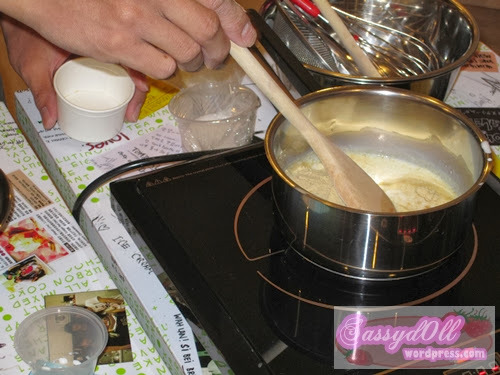 Continue stirring the mixture till the texture is thick and creamy! 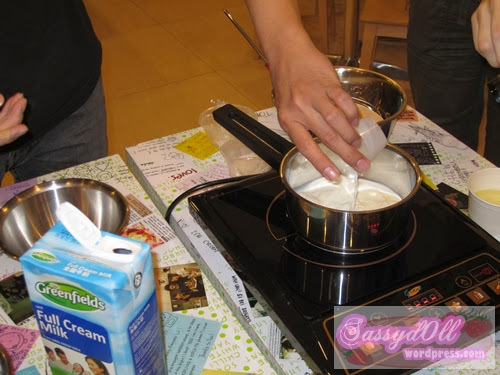 Add half a cup of whipping cream and stir evenly while still heating. Get ready the bowl and filter! 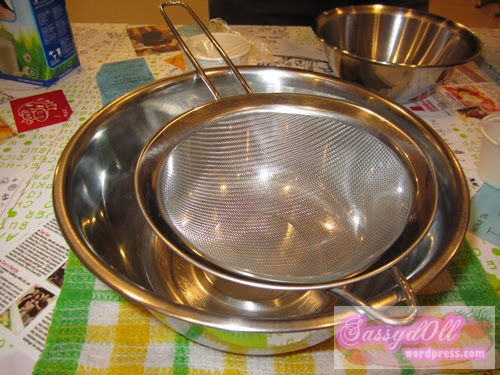 Pour the mixture from pot to a bowl with filter to filter off any residue from stirring. 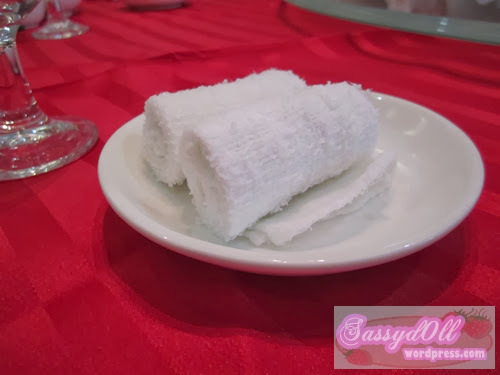 After filtering, see the residue on the gauze! 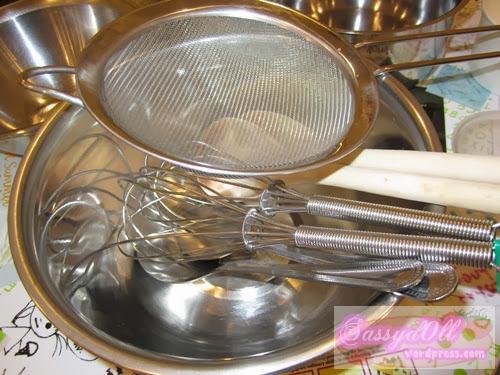 Remove the filter and give the mixture final “beat” using a whisk! Let the mixture cool down for awhile before freezing it. 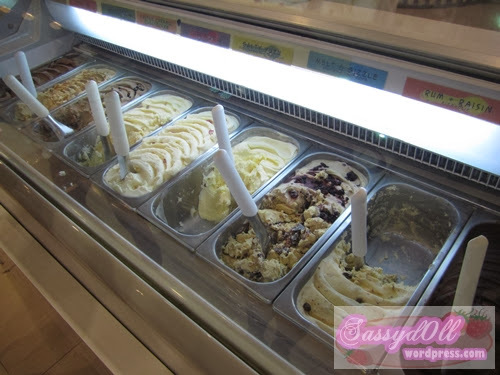 Freeze and churn by hand! 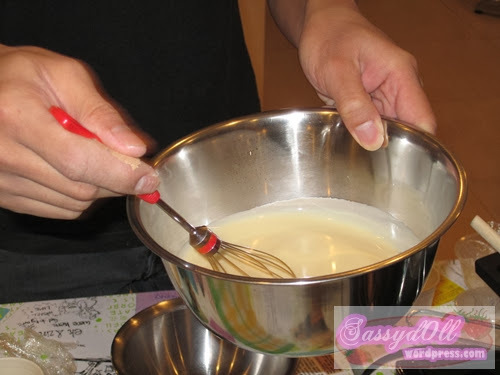 During freezing, leave the whisk in the mixture! You’ll need it to churn the ice cream after freezing! The output! Really tasted like Holicks!! Yeah, succeeded! A few shots of me making my ice cream! I paired up with Jacelyn and instead of taking turns to make the ice cream, we combined our ingredients as a whole to “cook” together! Me, before freezing the mixture! 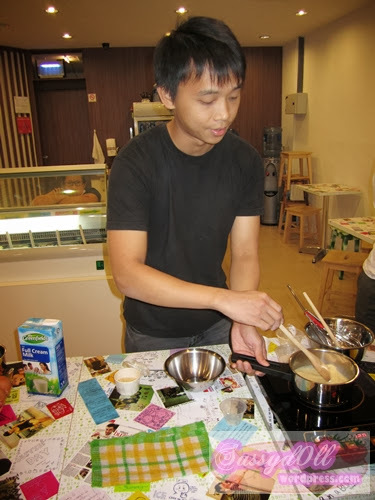 It was a great and fun experience making ice cream, I didn’t know it could be so easy! 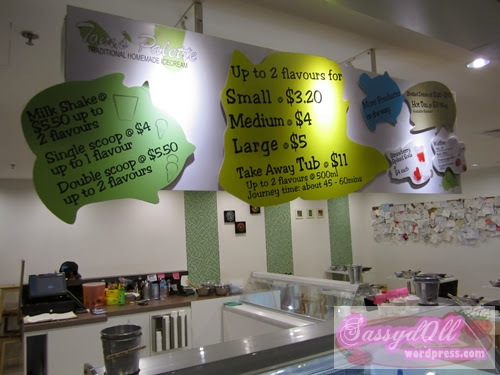 Then again, Holicks flavour is one of the easiest ice cream to start with. 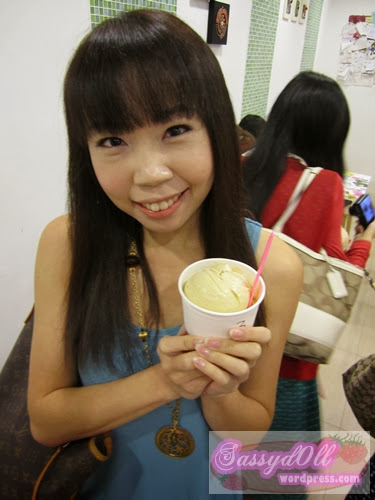 Bloggers also had a mini ice cream tasting session at Tom Palette! 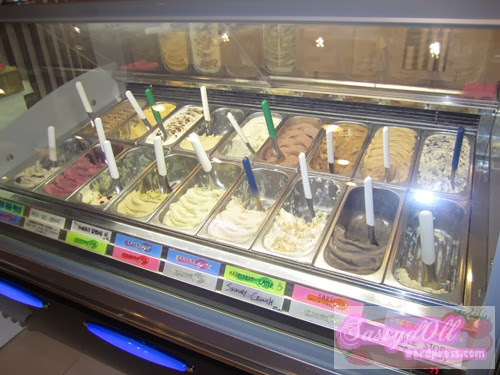 We had the golden opportunity to try out all the flavours at the shop!! 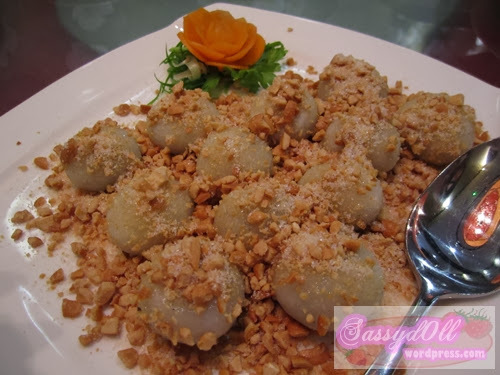 Must-try and highly recommended is, Salted Egg YOlk! It really has the egg yolk taste but it’s not gross or too strong at all! It’s love at first taste! All flavours are tiphilicious! I like and definitely going back some days! Keen to know who’s my teacher? 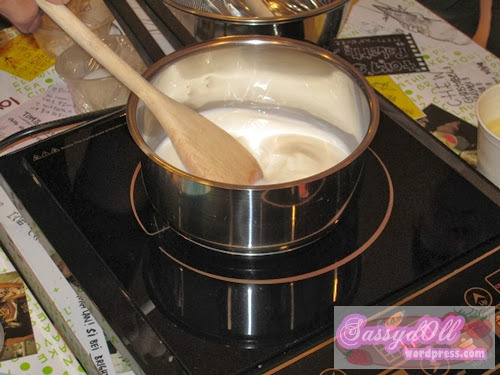 Anyway, hope this blogpost gives you a rough guide on you can DIY your own cream at home! 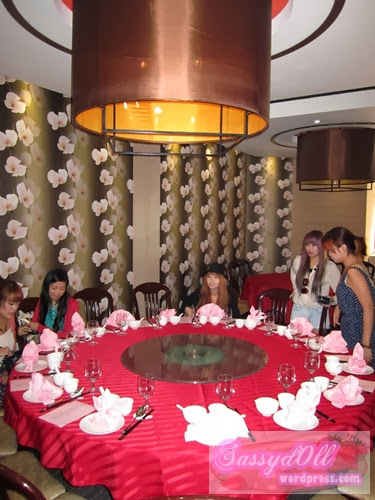 After the Bloggers Ice Cream workshop, together with Elfaine, the founder of The Sample Store, we headed to next door, Oversea Restaurant for lunch. 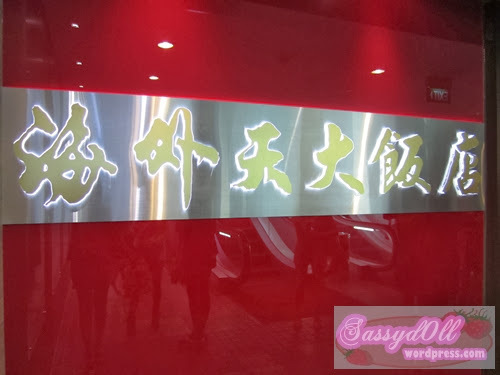 A Chinese restaurant with very oriental interior design.. reminds me of being at Hong Kong! We were brought to one of their VIP rooms! 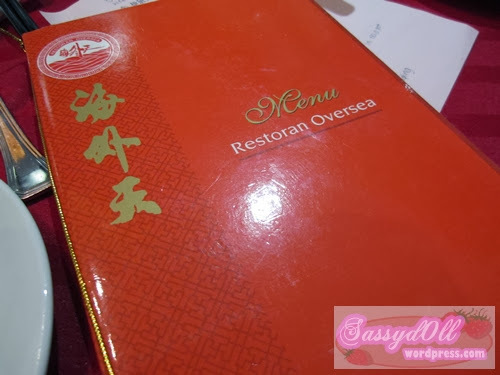 Oversea Restaurant has established a good reputation on their innovative recipe on quite a few dishes. 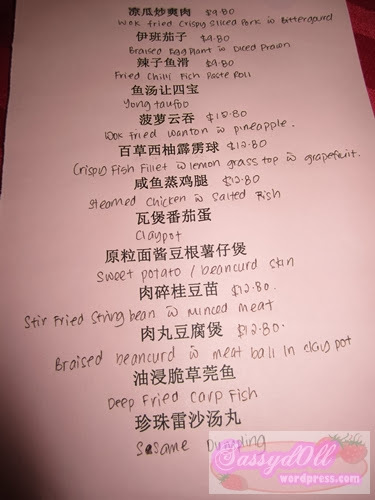 Here’s a list of their signature tasty dishes which we were given to try! 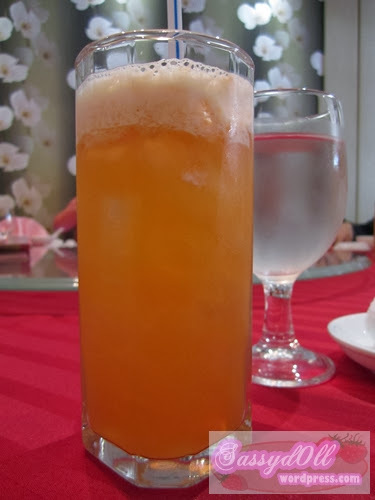 Upon seated, we were served with tea and juices. 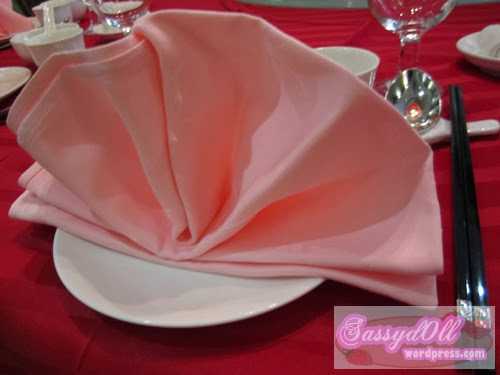 Very good service here, the waiters were knowledgeable, they knew what dish they were serving. Open your eyes big big at the dishes names and the prices okay, you will find the prices are super reasonable and AFFORDABLE even though you are dining in a restaurant!! Gosh, I totally dig the chilli gravy. Tasted as good as chilli crab gravy! It’s thick and not very oily, I could even just sip the gravy on its own! Fried Wanton tasted good on its own, but the Chef at Oversea came up with its unique sweet and sour taste using Pineapple. Frying the wanton with capsicums and pineapple doesn’t spoil the crispiness of the wanton, and infact, it brought out additional taste when pairing up with wanton. 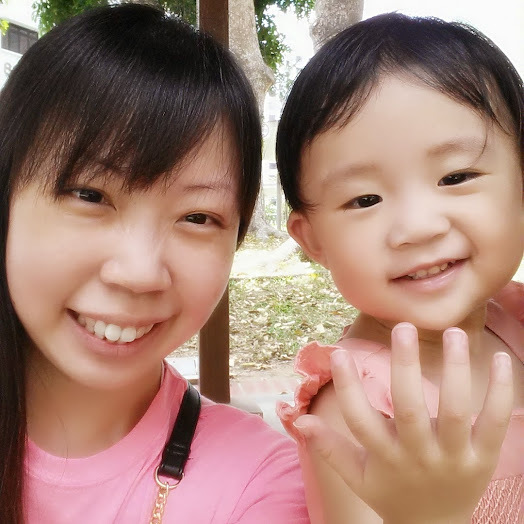 Bye bye to eating wanton on its own! Frankly speaking, I wasn’t a fan of egg plant, kind of disgusted by its slimy texture. Surprisingly, this dish didn’t irk me at all. It had a special taste which got me craving for a 2nd piece! Well-cooked with a perfect softness inside! Or maybe it’s because we were sharing, one piece of egg plant couldn’t kill me. =/ I think the elderly in the family is going to like it, healthy, tasty, soft and fresh! My goodness! This bitter gourd dish was good! The bitter taste wasn’t strong and infact, I quite liked its semi crunchiness! Crunchy is the best word to describe this dish! 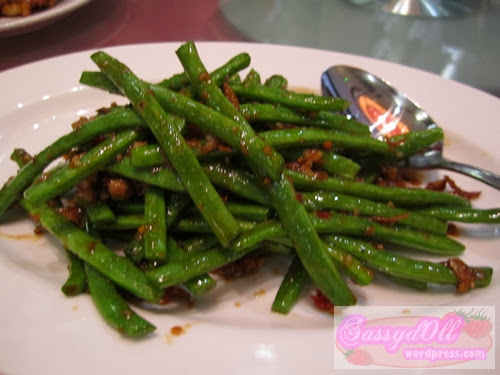 Very similar taste to another common Chinese dish, “Si Ji Dou”, just that they are of slightly different bean. The minced meat was delicious and for all the bah chor (minced meat) lovers like me who tend to have it with plain rice, the feeling was shiok! 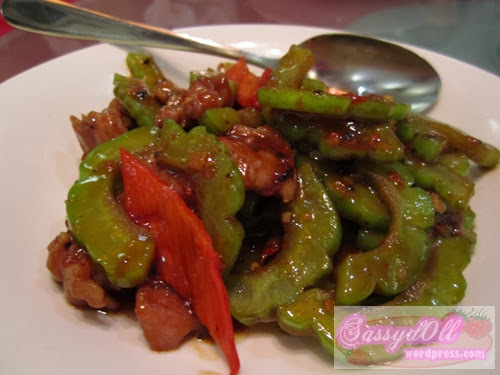 One of the ‘must-try’ healthy dishes at Oversea! 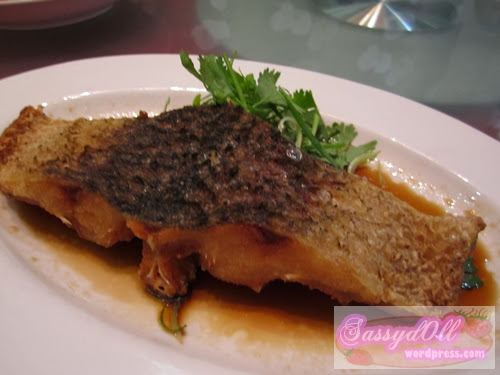 The skin of the fish was very crispy and the fish meat was fresh and tasty! The fish was wiped off within minutes! This chicken dish tasted averaged for me. 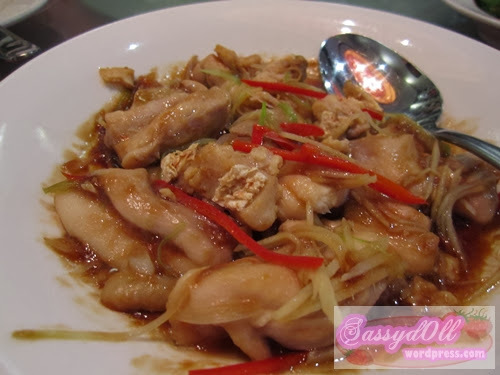 But the chicken meat was tender and nice to chew, and together with the sliced garnishes, the overall taste was still not too bad. Here’s another fresh fish meat we had. 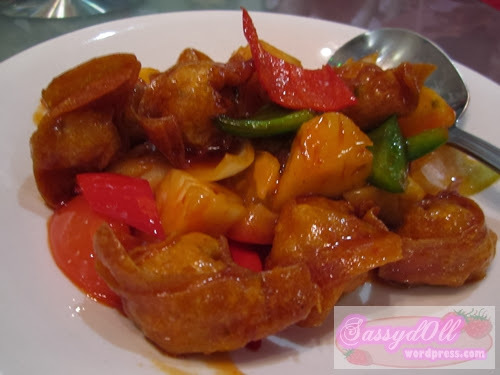 It can sure open up everyone’s appetite because of its sweet and sour taste. 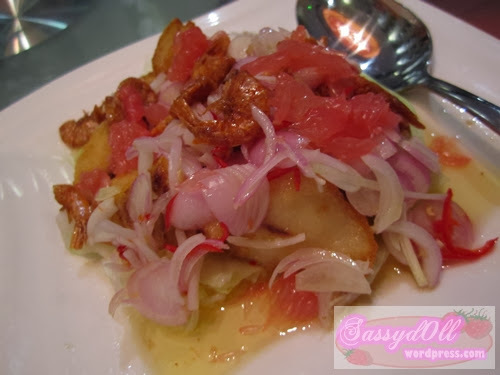 A little similar to those thai-styled fish from Thai restaurants, but the fish paste was specially concocted by the Chef at Oversea Restaurant. 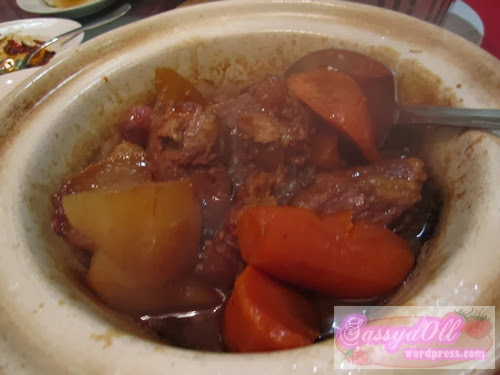 In Cantonese cuisine, there is always a soup, whether if it’s steamed, boiled, stewed or inclaypot, Cantonese just loves soup. Yong Tau Foo soup may sound pretty simple to us, but when I took the first sip of this soup, gosh! The soup was thick and tastefully sweet! Very appetizing! I bet this dish was hot favourite too! 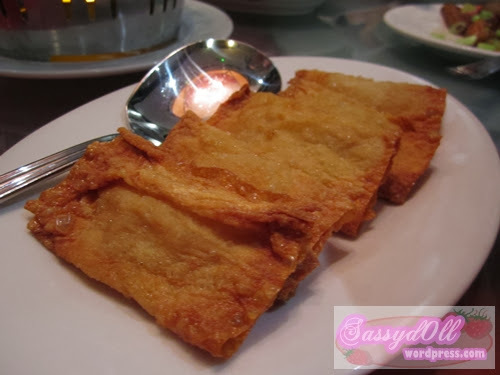 The beancurd skin was uber crispy and the sweet potato had got this sweetness which got me wanted for more! 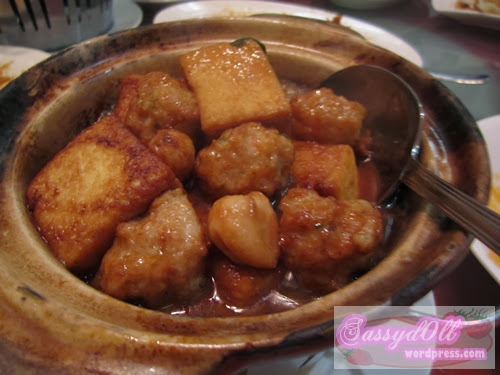 Eat it while it’s still hot in the claypot, take the gravy with plain rice, yummy! 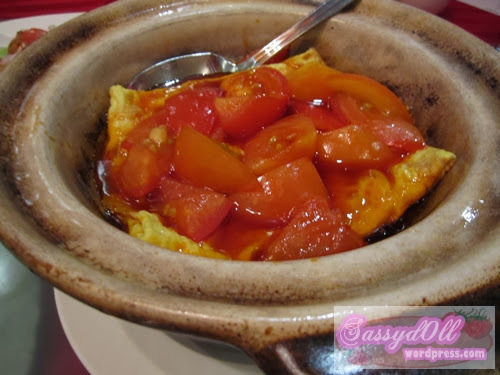 Tomatoes with egg, another healthy dish! 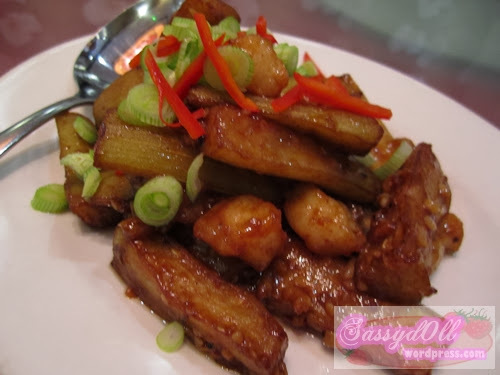 Loved the light crispyness of the beancurd. Inside was soft, outer layer was slight crispy. Additional 2 complimentary signature dishes! Thanks to the generosity from Oversea! 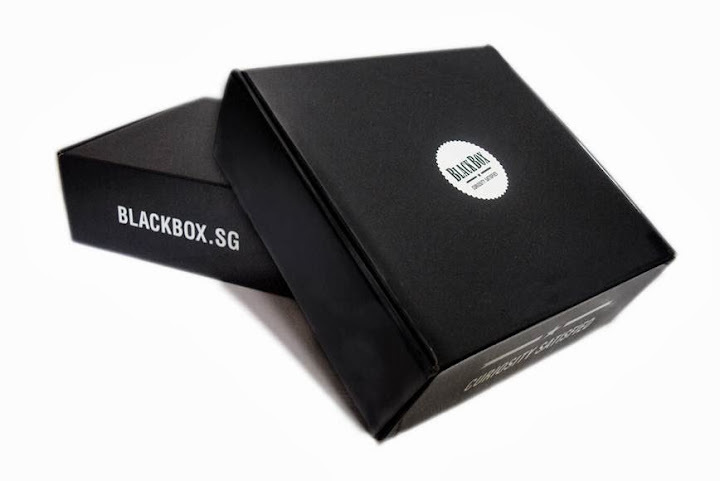 Must order in advance okay! Highly demand everyday! When I tried my first piece, I went SPEECHLESS! 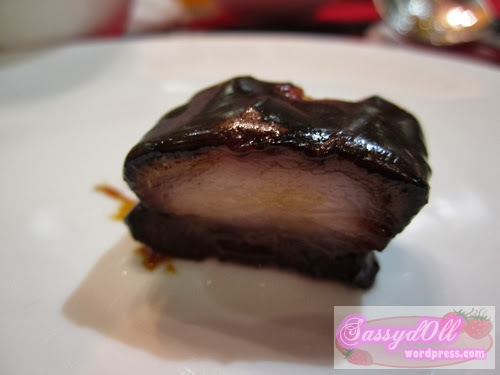 This special BBQ char siew has got its unique char siew gravy which is thick and sweet. 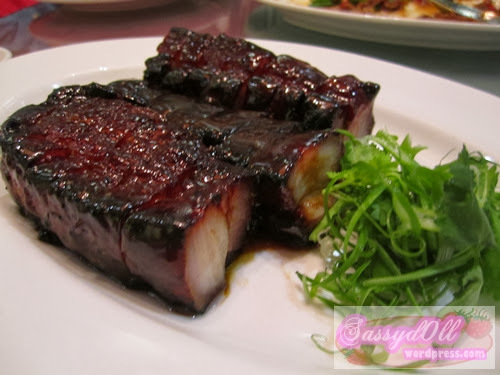 The BBQ heat and tenderness of the char siew was terrific, PERFECT! 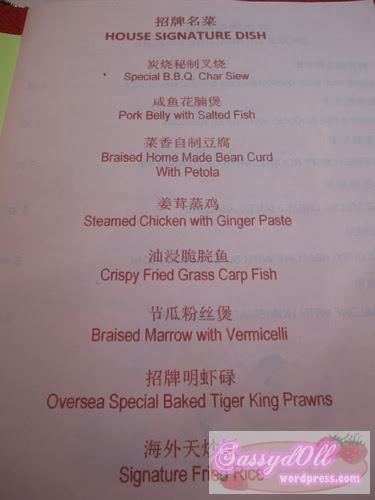 There wasn’t alot of fatty meat, and even if there was, I think it’s not going to be a bother because my tongue was on full focus on the chew and taste! Once piece was not enough! I had the urged to finish up the whole plate if it’s not about the sharing!! Chilli! Even when chilli paste was given, I couldn’t care bout it, I just wanted to eat the BBQ char siew on its own, to really enjoy the original taste! Extremely tender! 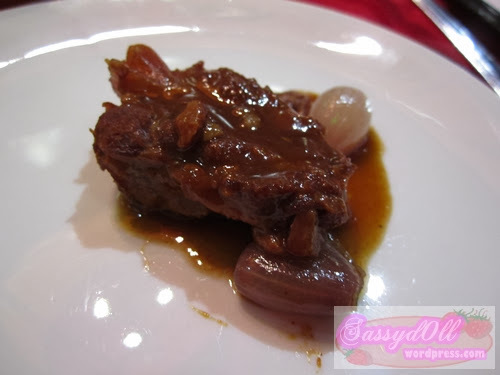 The pork meat had been nicely stewed! 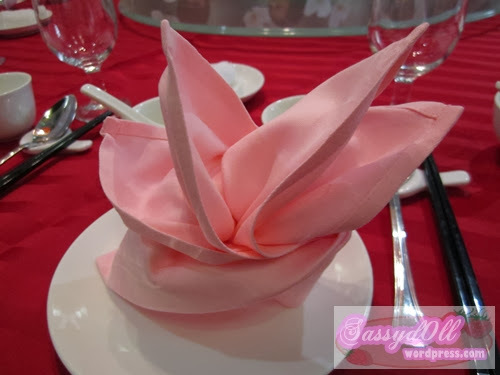 Even the carrot which came along with the meat was soft! The gravy tasted salty, but good enough to pour some onto plain rice to give the rice an extra taste. Finally check out the bill! 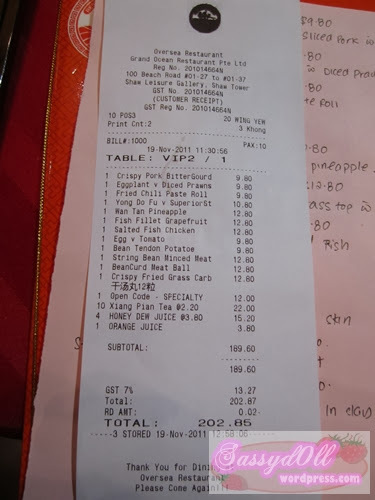 It’s not too expensive considering that we had 13 dishes plus 2 complimentary dishes and everyone had drinks! 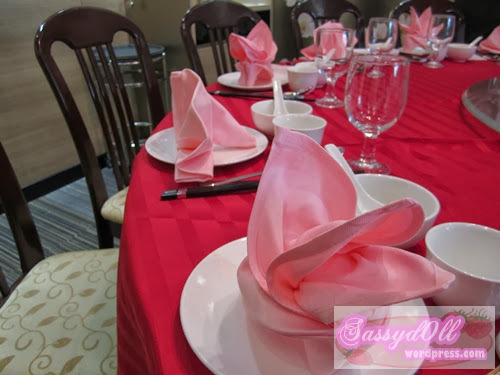 So next time if you want to have a small meal with your family, you may want to try Oversea! 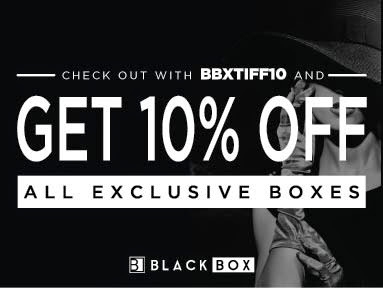 Incase you need the addresses and contacts….